Preparatory information and documentation for COP12 delegates. Over one hundred delegates participated in the 49th Meeting of the Standing Committee (SC49) to finalize details one day before the official opening of the conference. Daily digital coverage, daily reports, and summary and analysis report from COP12 provided by IISD Reporting Services, through its ENB Meeting Coverage. The theme of the conference is Wetlands for our Future. 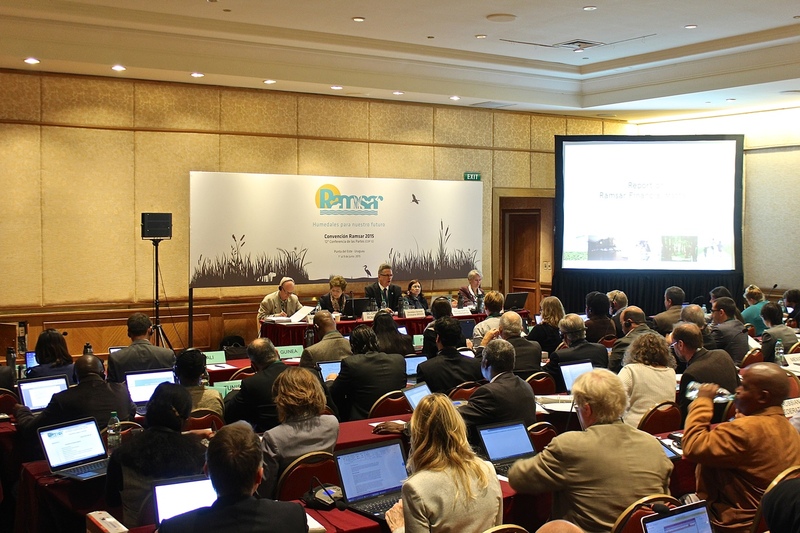 Ramsar Contracting Parties − the member states − will gather to assess the progress of the Convention and the sustainable use of wetlands to date, share knowledge and experience on technical issues, and plan their own work and the Secretariat’s for the next triennium. Interested in joining? We invite you to visit the host country website here for more details. Draft Resolutions and information documents for the meeting are published at http://www.ramsar.org/event/12th-meeting-of-the-conference-of-the-parties. As well as official delegations from the Contracting Parties, other nations are eligible to participate in the COP as observers as are also delegations from other nations and representatives of intergovernmental organizations eligible, as well as recognized non-governmental organizations working in the field of wetland conservation and sustainable use, and of government agencies that are not part of their country’s official delegation. COP12 Preregistration Process is now closed. If you wish to attend COP12 and have not preregistered, we kindly ask you to register onsite. The Government of Uruguay has set up a mechanism to help delegates obtain a visa if Uruguay does not have a consulate or alternative procedure established to channel it. See more information here: http://www.mapaconsular.mrree.gub.uy/. Participants may also need a transit visa or visas to pass through another country or countries, before arriving to Uruguay. Please establish the likely transit point(s) and make arrangements to obtain a transit visa before leaving your country. Click here to get more details on visa request. Please note that the ministry of public health of Uruguay requires an affidavit on health risks to be filled out and signed when entering the country. Attached the current form in English, Spanish and Portuguese. Ramsar COP12 will provide the opportunity for participants to hold a number of side events on global and regional themes relevant to the Convention and the COP issues. If you wish to propose such a side event, please complete the “Side Event Request Form” (Word Doc) and send it to the Ramsar Secretariat by e-mail (to strp[at]ramsar.org ) not later than 16 March 2015. The Secretariat have assessed the proposals for their relevance to COP12 themes and in light of available rooms and time slots. To see the schedule of side events please click here and for their description click here. At the Conference venue, an exhibition space will be available. To request exhibition space please complete the “Exhibition request form (Word Doc)” and send it to not later than 16 March 2015. Jetmar is the official travel agency of Ramsar COP12 and offers different accommodation options including the Conrad Hotel, the venue of the COP, and other five, four, three and two-star hotels within a reasonable distance of the conference centre. Click here to access information on each hotel. 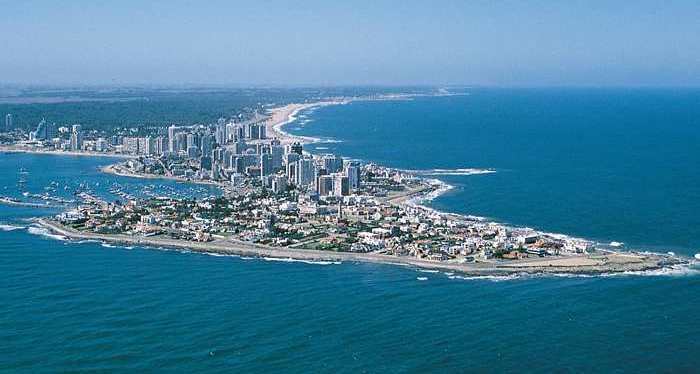 Uruguay will provide a reception service at Montevideo and Punta del Este Airports to the official COP12 hotels and facilitate the transfer of participants to and from their hotels, charged at cost. The service will be operating for arrivals on 31 May, 1 and 2 June. For departures, on 8, 9, and 10 June. All transfer services must be requested by email at: congresos.eventos[at]jetmar.com.uy. IMPORTANT: All services must be hired and paid in full before 22 May in order to be confirmed. During the Conference, Uruguay will provide free transport between the main hotels and the conference centre in the morning and evening. The schedules will be published during the event and displayed in the foyers of the conference centre and in the main hotels.